Adding LED's as forward conspicuity lights? I have been thinking of adding LED's to the front of the bike, away from the headlights to make the bike more visible. I don't want to have laser beam style lights that blind everyone, so I don't want super high power (lumens) or anything. 3 watts each, 60 degree spot size. I would have them pointed slightly down as to not annoy oncoming traffic. I was thinking they could be mounted to small holes in the side of each fairing and use quick-disconnect wiring so I could still remove the fairings. 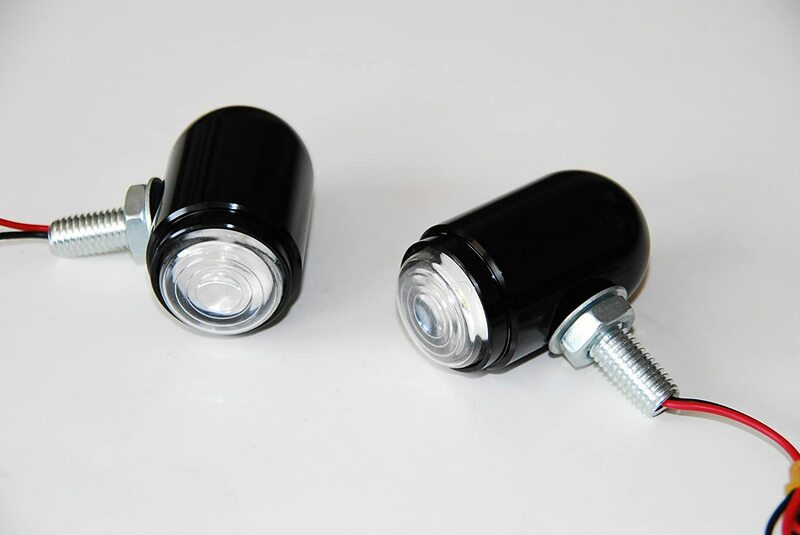 Or maybe have them mount to where the reflectors are on the side of the front wheel? Re: Adding LED's as forward conspicuity lights? I didn't get any responses, so I decided to get some. Installed them today and I like them. They are not made to be headlight replacements, but I wanted to spread the light around to add to the front image and change the color to make sure people notice me. They are small, if they fail, I only have a 3/8" hole in the fairing that they are mounted in. I have to wait until it's dark to see if I need to modify the pointing. The listing says a 60° degree beam, which is pretty wide, so I am thinking pointing won't do much! I will also try to get a comparison of the lights on their own against the garage door when it gets dark and then the headlights as well. I know the phone's camera will adjust the lighting, but it's better than nothing. I keep looking at new vehicles coming at me on the road. When I see one that I think will fit down under the front I will browse the local junkyards or a parts house and see how much. Wife's KiA had great led s coming at you and the new Chevy trucks are interesting but neither would fit our bikes. You'[ll be glad you added lights. Not for night but daytime use. It is much better to be seen by other cages. I only have anecdotal evidence but have had fewer cars turn in front of me and fewer incidents of vehicles pulling out from side roads to create a hazardous situation. Good lucl! You need to check how they show up in sun light. see you, that's the time you want to be seen. I would have ridden to work today (dark when I ride in, early afternoon ride home), but when I saw it was supposed to be 98 at my house (that means a few places I go through would be 103 or more) I decided against it. I will check to see how they do in the daylight compared to the high beams (during the day, I have high beams on). 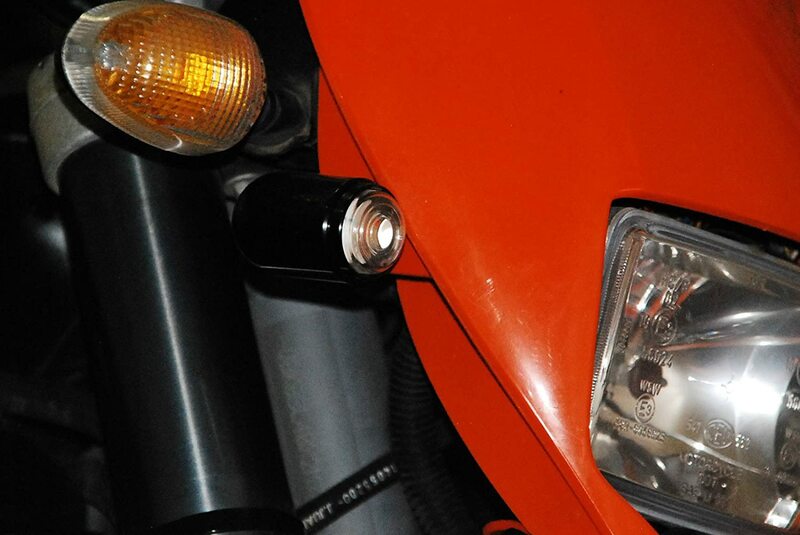 I have years of experience running amber spot lamps on my V-Twin motorcycles. I believe it to be the best insurance you can buy, very effective at grabbing motorists attention. Amber running lights will be on my Connie as soon as I learn of the options available. I like your addition, very creative.....and bound to be effective. I have not grabbed a picture during the day yet, but will do that when I am on my way home the next time I ride to work. Here are pictures from after they were installed, in my driveway. it look into a head light modulator. I agree with adding lights, and I've had them on all our bikes for the last few years. I added them to my C14 using the Top Kick sliders as mounts, and they look great, and work just as well. Here are some photos. I like them may have to do that to both the C 10 and the 14. I'm way behind the times, was going to post a pic of my auxillary LEDs and just discovered the Photobucket Ransom hijacking of my photos. Guess I'll be figuring out another way, why can't we load directly to this site? You can, just currently a size limit. 350k I think. Not hard to resize but many feel it is just to much of an effort on their part. I just did this one in a minute along with attaching it. Thanks Smithr1 for some reason I thought it had to be third party hosted. More lights are good, but if you really want to add something that will significantly put odds in your favor, get a headlight modulator. They only work during the day, or dawn/dusk in sufficient light, but I literally cannot count the number of times I have seen cagers notice me when they almost didn't. I've heard all the arguments against them, and those are all theoretical or irrelevant or bogus. In reality, headlight modulators work and they'll save your life. Definitely add LED's or a modulator for the front of the bike. I've always had some sort of triangle of lighting on the front - almost 20 yrs. now and I've never had a car pull across my path. If I did not have the extra lights, I would have a modulator. Here, here and Merry Christmas to all! Very bright, even in daylight. Haven't had a driver not yield when I approach. Nice, what kind of lights and mounts are those? Pilot Automotive PL-9733P flood pattern. Roadkill your bike looks wicked. I like!! Ran across this some time back... makes sense, and I have had very few incidents of people pulling in front of me. I don't assume they will see me, and am prepared to evade or brake, but I think they do.